Every guitarist will, at some point in their playing career, be looking for a good quality delay pedal. 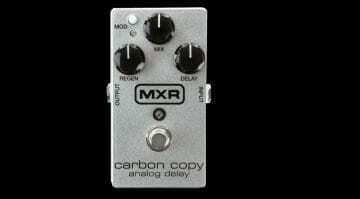 If you are after an analogue delay, then the MXR Carbon Copy was always a candidate in recent years. According to Jim Dunlop/MXR, it is the world’s best selling analogue delay. 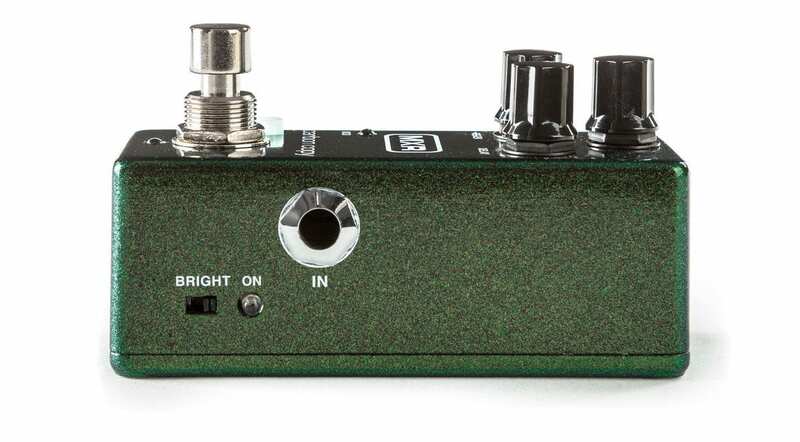 Now the company has produced this successful pedal in a smaller, more pedalboard friendly version. At last! 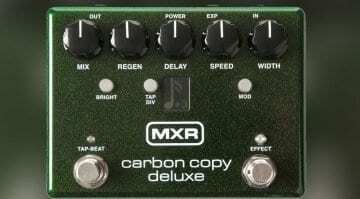 The MXR Carbon Copy is probably on of the most successful delay pedals in the world. It’s been a big seller for the company. It’s rock solid and sounds perfect – if you like bucket chain delays. There’s already a plethora of editions available next to the normal version (affiliate link) in Bright , Deluxe , I Love Dust and the 10th Anniversary Edition. Now comes the classic Carbon Copy delay in a mini pedal format. Not that this is a surprising move. 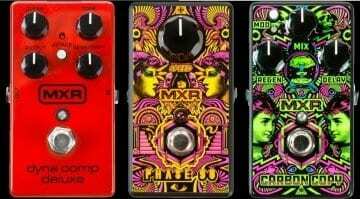 Other MXR pedals have also been released in mini versions, such as the Dyna Comp, Vintage Bass Octave and the Phase 95. Big pedals in a small case is all the rage, it would seem. But here the smaller case does not mean that it’s just the same effect stuffed into a smaller housing. Next to the obligatory mod-switch on the top there’s also a bright switch on the side. This unites the standard Carbon Copy and the Bright models into one very neat/compact pedal format. No video demo or official pricing yet, so we will have to wait until it is officially announced by Jim Dunlop/MXR to find out the full details. 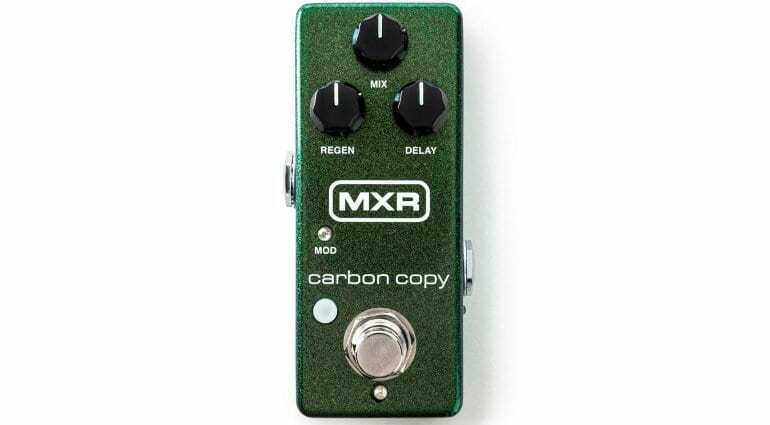 UPDATE – The MXR Carbon Copy Mini appears to have been pulled from the manufacturer’s website, so it’s currently not viewable there. We’ll update you with details as soon as we can. MXR Carbon Copy 10th Anniversary Edition: The ‘silver fox’ of delay pedals? 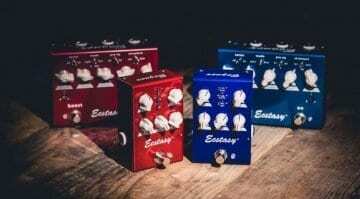 Bogner Ecstasy Red and Blue Mini pedals: Smaller size, same boutique tone?